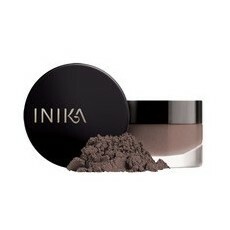 This Inika Pressed Mineral Eyeshadow Duo in Choc Coffee is a rich combination of a warm chocolate-brown shade and a neutral taupe. 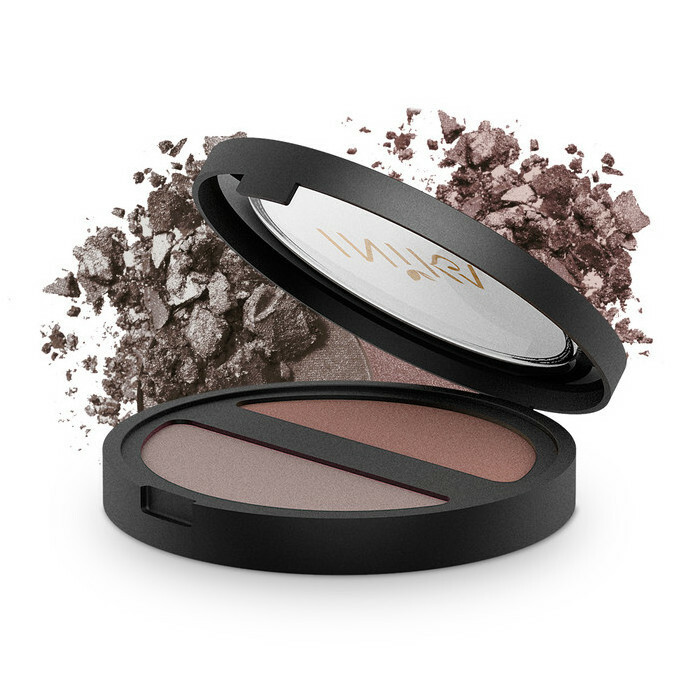 Choc Coffee and Taupe work well as a complement to blue eyes, or as flattering neutral shades for other eye colours. This convenient, pressed-powder eyeshadow duo is crease-proof, long-lasting and rich in healthy mineral pigments. Certified Cruelty-free & Certified Vegan. Choc/left: Mica, Zinc Stearate, Caprylic/Capric Triglyceride, Iron Oxides (CI 77491, CI 77492, CI 77499). Coffee/Right: Mica, Caprylic/Capric Triglyceride, Magnesium Stearate, Copernicia Cerifera (Carnauba) Wax*, Theobroma Cacao (Cocoa) Seed Butter, Tin Oxide, Titanium Dioxide (CI 77891), Iron Oxides (CI 77491, CI 77499), Ferric Ferrocyanide (CI 77510). Use an eyeshadow brush to pat the colour onto your eyelid. Or, dampen an angled brush and apply colour close to the lashes as an eyeliner. Yes!! Perfect color brown for winter and use the lighter shade in Summer. Also use the brown to do my eyebrows with a little eyebrow brush. Favorite for sure. 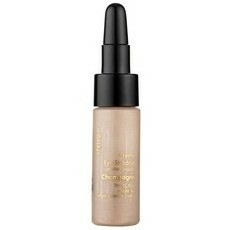 Beautiful velvety texture, easy to apply and blends nicely.